DTI with further Black industrialist plan….. The Black Industrialist Policy is now in place engineered by the Department of Trade and Industry (DTI and approved by Parliament. 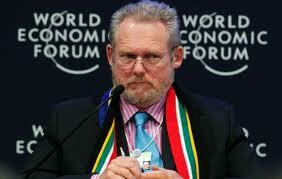 It was submitted to Cabinet by Trade and Industry Minister, Dr Rob Davies and approved in early November. 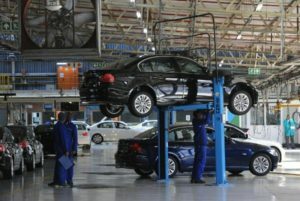 The purpose of the policy, the Cabinet says, is to focus on growth and competitiveness of Black-owned enterprises. The plan is designed to “facilitate the meaningful participation of Black-owned and managed companies within industry” and is another extension to DTI’s Industrial Action Plan (IPAP). It extends, Minister Davies says, the NDP and President Zuma’s nine-point plan laid out in the 2015 State of Nation Address. The scheme offers a cost sharing grant with the DTI, ranging from 30% to 50% to approved entities to a maximum of R50m. The value of the grant in terms of any proposal will depend on the level of Black ownership and management control and must be for capital investment and other support measures such as working capital. Davies said that the only route for future of the economy was to build the manufacturing sector and the inclusion of the black industrialists had to be encouraged. The DTI has earmarked R1bn of seed capital to assist the Black industrialists to raise the necessary equity required to access the private sector/banking market to access debt funding. This capital would be complemented by funding from developmental finance institutions. Employment Equity Act surprises on race issues…. The reality of the Employment Equity Amendment Bill passed in Parliament last October is now beginning to kick in with the enforcement of the Bill by the regulatory process. The Bill has now become an Act but the regulations are not what were expected on the race issue insofar as equity returns are concerned. Oddly enough there were few objections or queries on the Bill when the draft Bill was presented for public comment by the department of labour (DoL) over eighteen months ago. The legislation looked destined for an easy passage through Parliament but opposition party DA members appeared to be divided on a number of issues. In an unusual turn of events, the Bill, when introduced into Parliament, allowed for foreigners whose applications for citizenship were turned down before 1994 on the basis of their skin colour and such persons can be included in employment equity (EE) returns in future. This occupied much of the discussion in Parliament and MPs appeared to be relaxed that employment in terms of BEE would be regulated by DoL according to the demographics in the related areas. Fines were proposed in relation to turnover of the entity in question which could fall into eleven categories varying from agriculture to manufacturing, quarrying and mining to catering and transport and from wholesale, trade and commercial agencies to finance and business services. Electricity, gas and water entities were mentioned, as were construction and community and personal services – all with total annual turnover thresholds given. Most public comment in the parliamentary public hearings warned of criminalising business and strong objections were voiced on this issue. It is unlikely that this matter will be debated in Parliament again unless a legal challenge results over the particular portion of the regulations concerned or the whole Bill is overturned constitutionally, which seems unlikely. Pressure on government to relax in general terms the consequences of new labour laws is coming from a number of directions. 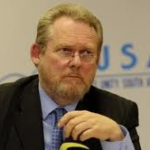 Minister of Trade and Industry, Dr Rob Davies, says the new BEE Amendment Bill and the revision of the Codes would go a long way in plugging the gaps that, in his view, businesses had taken advantage of with such moves such as fronting. The amendments would also avoid the “tick-box” manner of BEE compliance that seemed to be developing in the country, he said. When asked about a time limit on BEE, he was clear in his reply. “The eventual idea is to create a non-racial society in which these kinds of racial categories will no longer be considered. We are nowhere near putting a time limit on this happening”. Minister Davies pointed out that in terms of the new Bill, about to be assented to by the President, had a total of 105 points assigned to the five elements. Minister Davies said the tandem launch of the Codes signalled the opening of a sixty-day period in which business and all other members of the public can submit their comments on the Codes for consideration before all the changes are finalised. The media asked whether, in stating that the new Bill had lightened the regulatory requirement for small business, whether this was because of the Bill or the new Codes. Minister Davies indicated that the Codes were still under debate and this is “where reform would take place”. One of the areas being looked at was where bigger companies had to go through a lengthy verification process when dealing with smaller companies, he said. When asked about the idea of incentivising plans for ownership as he perceived it, Minister Davies said this came back to the fronting question and what the problem with BEE, as it stood, was all about. There was ownership as a proper and wholesome economic concept and there were also simple formal contract of some sort of shareholding, he said. “What has happened is that most of BEE is some kind of share transaction”. Questions then arose from the floor on the “sunset clause” issue, with one person saying that all this was 20 years ago, and people entering the economy had come through a new education system. Why could there not be term limits on this and why were there no deadlines, they asked on such legislation. He acknowledged that it was twenty years since this had all had completely changed but the life span of disfranchisement effects has continued. “White people still have the best chances that other people do not have and this is the fact of the matter and is what have had to deal with. When it was pointed out by a questioner “that some people got richer through BEE regulations whilst a number of others stayed far behind”, Minister Davies responded by saying that BEE had to be got onto a “broader base” and this is why a Commission for BEE had been established. He said, “You put somebody in a certain position so that you could pretend that the enterprise is something other than it is in terms of empowerment.” The Commission would look at this, he said, and in the worst case scenarios it would recommend that such cases go through the criminal justice system. When asked when the Commission likely to be established the Minister explained the parliamentary process of legislation, the advertising of posts for a Commission and the setting up of procedures, all of which took considerable time. Releasing this year’s annual report on the Commission for Employment Equity (CEE) at a parliamentary media briefing, labour minister Mildred Oliphant said that there were some trends which “were disturbing” which she had noted had come from provincial governments. 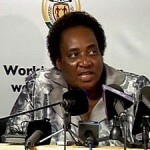 Oliphant said while figures as far as BEE were concerned were improving in the employment of blacks at top senior management level in both the public and private sectors, the report showed white males and females were more likely to be recruited or promoted and the Western Cape government was still performing poorly with regard to the representation of black people, particularly Africans. Mkalipi said amendments clauses to the Employment Equity Act contained in the Bill currently before parliament would speed up the process of transformation. There were many companies still resisting change, he said, and fronting was still an issue. The amendments including criminalising certain issues, so that fines could be raised and that this might further rectify the imbalances in equity returns next year. The department of trade and industry (DTI) has published in terms of a government gazette a property sector charter setting out the sector’s codes of good practice for black economic empowerment. It is immediately effective, the gazette states, being “binding on all stakeholders operating in the property sector”. Amongst activities excluded from the conditions involving B-BBEE regulations are amongst other things, the acquisition of mortgage loans; the “securitisation” of mortgage loans and matters dealing the banks. The charter underwent a comprehensive consultation process and was published for comment in draft form late last year. As part of a media presentation held by department and trade of industry (DTI) and in a cabinet statement issued a few days before. it was re-affirmed that a Broad-Based Black Economic Empowerment Amendment Bill, 2012, was about to be tabled Parliament. The Bill has at one of its main aims the objective of controlling what is termed as “fronting”. The Bill was published by DTI in November last year for public comment and fulfils a specific stated wish of DTI minister Rob Davies to criminalise fronting as a statutory offence. The new Bill will establish a Broad-Based Black Economic Empowerment (B-BBEE) commission to strengthen compliance-related monitoring and evaluation, and also the regulation of B-BBEE verification agencies, by the independent regulatory board of auditors. Chairperson Sisi Njikelana told parliamentarians and those who attended the portfolio committee of energy meeting on the audit findings of the Liquid Fuels Charter (LFC), that all stakeholders in the industry will meet to discuss the way forward to improve the black empowerment stake in the oil industry. His comments followed a presentation of the audit by Moloto Solutions by Tseliso Maqubela, deputy director general hydrocarbons for department of energy (DoE) together with Ms Gosetseone Leketi, the DoE liaison officer who had worked on the audit. It is understood that that such a meeting has taken place and that procurement by the oil industry was a major discussion point. Maqubela told parliamentarians that DoE could now proceed on the subject of black empowerment within the oil industry without just anecdotal information but with extra basic facts and home truths garnered in an exercise, which, with the exception of a few companies, was marked by good co-operation amongst the industry. DoE had placed the audit findings on its website a week earlier, the original survey of the LFC being commissioned in 2010 and its findings being only up to that date. The document was placed before cabinet in April this year, the audit having been completed by Moloto Solutions as late as April 2011. In the light of the fact that the LFC had an expiry date of 2010, the purpose of the audit, as explained by the minister of energy at the time, was to establish the level of compliance with the BEE factors laid out in the charter before renewal was negotiated if it was to be, the industry not having its own B-BBEE sectoral agreement through the department of trade and industry. DoE in its recommendations following its own summation of the audit suggested that a sectoral B-BBEE code be developed through DTI after agreement at the recommended stakeholder’s meeting and that the issue of penalties for non-compliance should be debated. However, Sisi Njikelana said that his approach to penalties was that they were not going to be “important” if all co-operated and that DoE would not necessarily have to legislate for this necessarily. But he reminded all present that “we do not have another ten years like before.” There had to be some very urgent improvements, he said. “We need a systematic way to track demographics but in order to get meaningful change” all involved have to apply their minds”, he said. An official ongoing monitoring body that was more effective and constantly updated progress amongst oil companies was suggested by Njikelana. In presenting their views on the report, Gosetseone Leketi of DoE said that oil industry participants had agreed to the application of the LFC in its industry ten years before BEE legislation was applied in South Africa generally. Presumably now DoE would have to consider how to amend the LFC after negotiation with oil industry participants or alternatively consider a separate document along the lines of other sector industry BEE charters, studying the success and failure of the separate oil industry scorecard factors in South Africa and its verification system to date. Concern was expressed by Moloto Solutions in the audit that the department of trade and industry, with its current work load, could take on another sector industry BEE draft. In very broad principle, Moloto’s audit findings indicated overall compliance with the charter at 48% with black shareholding averaging at 18.91%, albeit narrow-based, with a very low participation by black women as shareholders. Only one company has met the LFC target for shareholding control which participants at the meeting assumed to be Total whose French shareholders had made a major sale to black owners upon exiting. As far as the audit was concerned generally, Leketi said skills development areas stood out with a poor record, as did employment equity and also preferential procurement in certain aspects. On the issue of procurement, the audit findings indicated considerable effort by Moloto to establish the background and factors behind the procurement of crude oil and the mechanisms involved, which they had clearly found difficult to establish in some cases due to competitive factors. Leketi noted that this was an area where black employees had to gain more control and experience, according to Moloto Solutions. Leketi said that this was a DoE view. The report separates, as a distinct entity, employees who are “foreign nationals” and Leketi pointed to the difficulty some companies had in reporting structures on product issues where responsibility and organogram management structures were constantly changing without any reference to the particular trading conditions in any country. For example, Maquebela subsequently said on this issue in discussions later, “Suddenly an international company with its head office in Hong Kong could decide that Africa would report through Egypt for, say, LPG, he said, and the management in that area would have no understanding of (B-BBEE) conditions applying in this country”. Leketi, in presenting the report, said the audit stated up front that that punitive measures should be designed against companies that do not make “the 25% cut” and that “some way” has to be found the develop supportive cultures for BEE within company behavioural patterns, especially in line management. Companies, the report said, should place on notice boards employment equity achievements and targets and companies should urgently upgrade their black recruitment programmes, especially amongst black women and improve the overall knowledge base of the their own staff at all levels regarding BEE employer requirements and targets if achieved or not achieved. The findings were specific, Leketi said, on the need for “employee capacity building” at all levels with reward and achievement acknowledge programmes to accompany skills acquisition, especially in “scarce skills” areas. Maquebela stressed in his comments that in his view, on the aspects of skills training which was so absent in most companies (particularly scarce skills needed in cleaner fuel development, he said) that the principle of “learning by doing” should be emphasised and that “internationals” should take a lot more advantage of their ability to send employees overseas on training courses. The meeting concluded by chairperson Sisi Njikelana saying that bearing in mind the date of the findings, “the industry must have another platform to express itself”. Tseliso Maquebela agreed with this route but warned that he rejected those findings where oil companies had said during the audit that they were not aware of the conditions that they or their employers had to meet with regard to black empowerment. “Nobody could be in this industry and not be aware of exactly where they stood in regards to targets, timings and the details of LFC requirements in addition to BEE regulatory aspects.” He rejected any idea that employees interviewed should have been ignorant of why the audit was being conducted and what the onuses were upon on their employers. 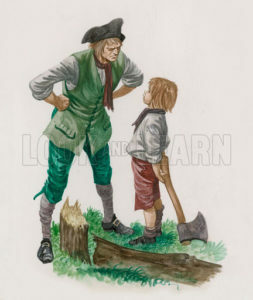 He stated however that he agreed with the findings of the report that there was great ignorance generally amongst employees of the urgency behind the need for industry to re-organise along BEE lines and noted the comments in the audit that much appeared to be done in an atmosphere of haste after initial interviews had been conducted.